For those starting their journey of faith, baptisms are a significant part of worship at Wellshire Presbyterian Church. In each baptism, God assures us of our cleansing from sin, our participation in Christ’s death and resurrection, and our welcome and salvation in God’s family. It would be an honor to celebrate this meaningful Christian event with your family. For many years, we’ve proudly participated in baptisms for families who live in South Denver (including Bonnie Brae and Washington Park), Greenwood Village, Cherry Hills and Highlands Ranch, Colorado. In a Presbyterian baptism ceremony for a baby or infant, we give witness to God’s love for us, even before the little one can respond in faith. As part of the sacrament of baptism, the infant’s parents profess their faith on behalf of their baby, so the young one can enter into the family of God. 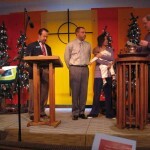 The parents make commitments to raise their child to know Jesus Christ. With the family gathered around the baptismal font, our minister baptizes the baby or infant with sacred water from the font. In the Presbyterian Church, we believe that we are all “god parents” of the baptized child. 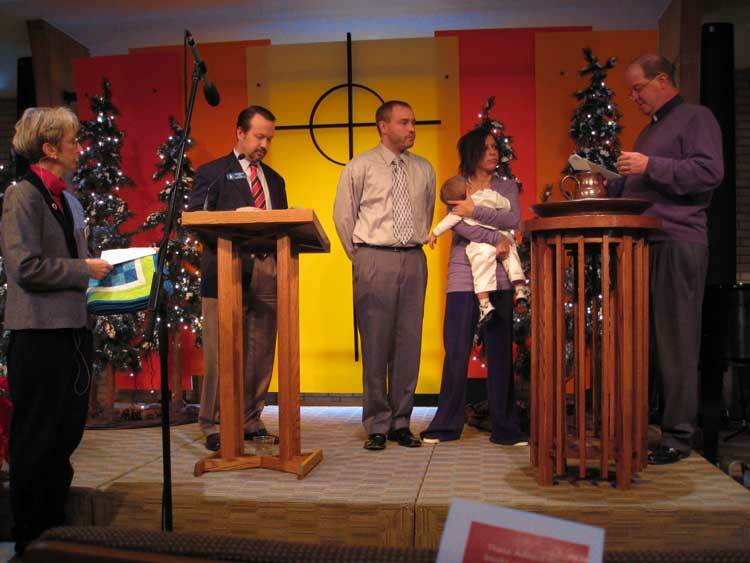 As such, our entire congregation welcomes the baby or infant into God’s family. We promise to walk alongside the newly baptized Christian, helping him or her grow as a disciple of Jesus Christ. Wellshire Presbyterian Church holds baptisms for teens and adult believers too. When a teenager or adult is baptized, he or she makes a profession of Christian faith, claiming Jesus Christ as his or her Lord and Savior. We warmly welcome every new Christian into God’s family. The first step is to become a member of Wellshire Presbyterian Church. The next step is to contact Beth Hamstra, our coordinator for baptisms. She will help you select a baptism date and coordinate any planning. You may be asked to speak with a Wellshire minister to discuss the sacrament of baptism and the ceremony. Teenagers who are interested in a Presbyterian baptism may also be encouraged to go through confirmation. We celebrate Denver baptisms during either of our Sunday worship services. If you have questions about our baptisms, please contact Beth Hamstra. If you are searching for a new church home in Denver, Colorado, please learn about Wellshire Presbyterian Church.